Interested in gardening? Have excess seedlings? Want to share ideas and gardening tips? We meet at the Merri Corner Community Garden, corner Harrison and Donald Streets, Brunswick East (near the Merri Creek, opposite the Brunswick velodrome). 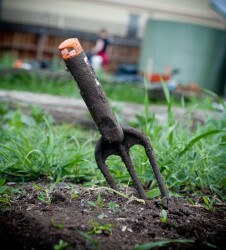 We’ll provide tools, seed trays and seed raising mix. All gardeners welcome. Bring your seedlings, cuttings, or just your curiosity.